Do you know how much greatness is within you? Do you find yourself questioning your purpose? Wondering what your gifts are? Do you know that illness, injury, job loss, and countless other situations we see as a crisis may in reality be a doorway to something greater than we can imagine? David Kohout's journey began with him chock full of questions and oblivious to the seeds of greatness that he held; reaching a point of desperation, and struggling with the answers along the way. 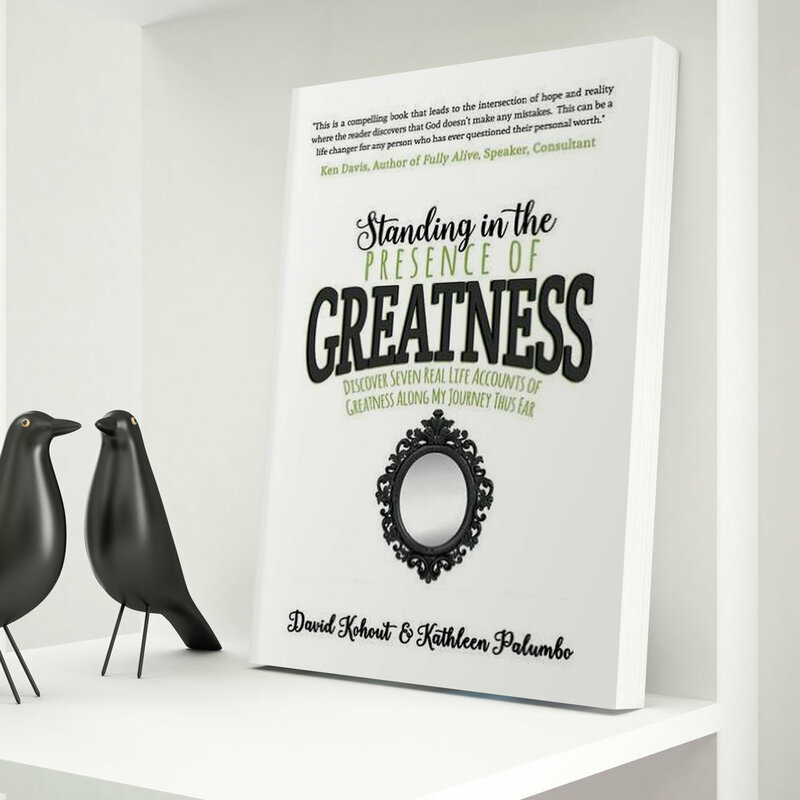 Within the pages of Standing In the Presence of Greatness, David Kohout along with Kathy Palumbo takes you on a colorful walk through some of those very real moments as only someone who has experienced them can, and shows you just how he reached the other end of the tunnel where the light shone brightly enough to spotlight the greatness within him. Just as when he welcomes those to whom he speaks with a peek into his life, both past and present, he invites you to step inside his story and within these seven thoughtful chapters, you will want to begin the search for greatness within yourself.